Lock in a great price for Casa Akbal B&B – rated 9.4 by recent guests! Our hosts, Lou Lou and her daughter Mary Anne (not sure of the proper spelling), were very welcoming and warm. The pool was a lovely respite from the Merida heat, and the rooms had great A/C and were exceptionally clean and quiet. We walked 15-20 minutes to the main square area and caught an Uber back. Lulu and Juan are great hosts. They offer breakfast daily which consists of fresh seasonal fruit, great local coffee as well as toast in a lovely patio. 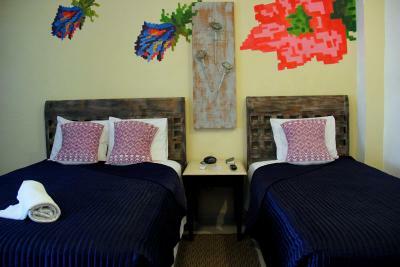 The rooms are comfortable and clean and the owners are a joy to talk to. They gave us great tips and someone is always home in case you need something. Is close to downtown but not close enough that it is loud. It is only a 20 minute walk to the main plaza and there is a market nearby. I wasn't sure about the parking when I arrived but they were very accommodating and there is also plenty of street parking. Juan and Lulu are wonderful, friendly and knowledgeable hosts. The facility is quite attractive. The room, though small, is comfortable. Juan and Lulu are very accommodating. My stay was great. Everyone was very nice to me and they had good recommendations for activities to do. The room was comfortable. Super hosts, very welcoming and helpful. 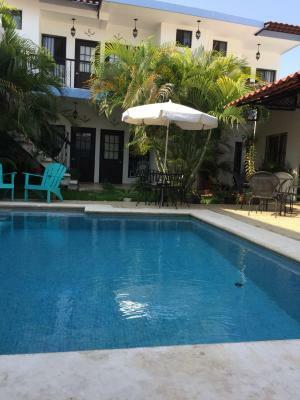 The property is very nice, the pool is a great escape during the hot hours of the day. 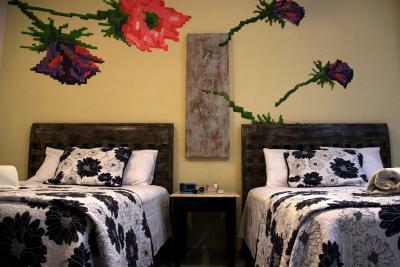 The place is extremely nice, clean and well furnished. Our hosts were very kind and always ready to help us with anything. They were very careful in satysfying any request. They also allow everyone to use the kitchen's fridge which was very helpful for us. Juan was so helpful as we had so many issues with our travels moving forward after merida. The breakfast was basic but it did thr job. The coffee was from the chiapas region and was amazing. The beds were comfy. Toiletries were offered. One the best places we stayed in mexico out of 7 spots! Location close walking distance from centre. The location and the accomodation was beautiful. Welcoming hosts and ease of access. The pool was refreshing and breakfast served around the pool was lovely. 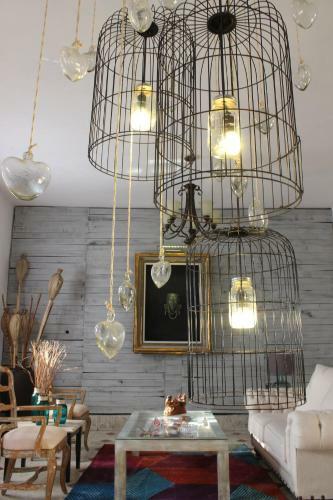 One of our best sellers in Mérida! 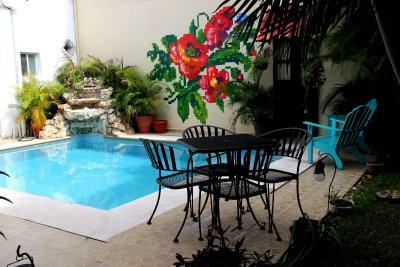 Offering an outdoor swimming pool, Casa Akbal B&B is located in the Centro de Merida of Mérida, not far from Merida Bus Station. Complimentary WiFi is available. Merida Cathedral is 1.3 miles from Casa Akbal B&B, while Main Square is 1.4 miles from the property. The nearest airport is Manuel Crescencio Rejón International Airport, 3.8 miles from the property. 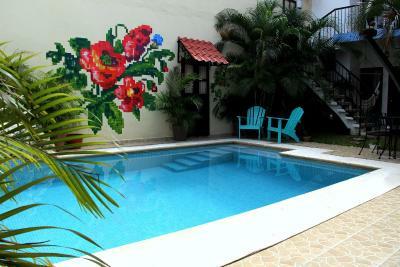 뀐 Located in the real heart of Mérida, this property has an excellent location score of 8.6! When would you like to stay at Casa Akbal B&B? House Rules Casa Akbal B&B takes special requests – add in the next step! Beautiful house run by the owners. I did not get any WiFi on my room. We had only a minor issue with the shower. It was very hard to find a reasonable temperature. This should really be listed as a BnB rather than a hotel. The location isn't quite as convenient as reviews we'd read lead us to think--about 12 blocks from the Plaza Mayor. The solar water heating system is a great idea, but don't expect to be able to take a shower in the morning. There's only hot water late in the day. I liked the patio for breakfast and the friendly hosts. 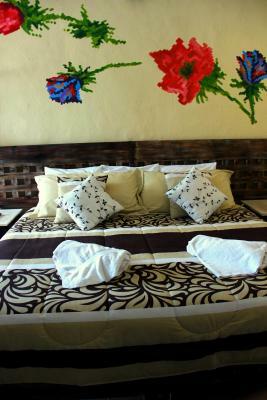 The spacious rooms have comfortable beds. Excellent service, very friendly owners, quiet garden, clean rooms, refreshing pool. We loved it!